A rare post about two of the things that I have become fairly expert at: travelling and dealing with mental health issues. Hurrah! I wanted to write this post as people with mental health issues can often get trapped into a thought process that tells them that until they are ‘better’, they couldn’t possibly do anything like long-term travel. Travelling with depression and anxiety or similar mental health conditions can feel like a barrier to travel. It doesn’t have to be! Mental health is the same as physical health- it goes up and it goes down, it floats along and then it changes again. The idea that you should put your life on hold until you have no mental health issues is not just unrealistic, it can be dangerous. It plays into the victim mentality, it stops people seeking out pleasure that can help their recovery and it increases the stigma of people with mental health issues being less functional than those without. When managed properly, mental health issues are fine to travel with. There are extra considerations, in the same way that you would plan more carefully if you had physical health issues, and many people have both. Here are my top tips for travelling with depression and anxiety or similar mental health issues. If you are on medication for mental health issues and you are planning on travelling for an extended period of time, talk to your doctor about how many weeks of medication they feel comfortable prescribing you. If you can’t get enough to cover your whole trip make sure that you are 100% sure you’ll be able to get some wherever you are before it runs out- dealing with a mental health crisis is one thing in your home town, and completely another halfway across the world where you don’t speak the language. We found being on the road (‘fast travel’) difficult for many reasons, but one of them was the lack of routine. A routine helps to cement your eating and sleeping patterns and gives a sense of security and organisation that can be helpful for people with mental health issues. 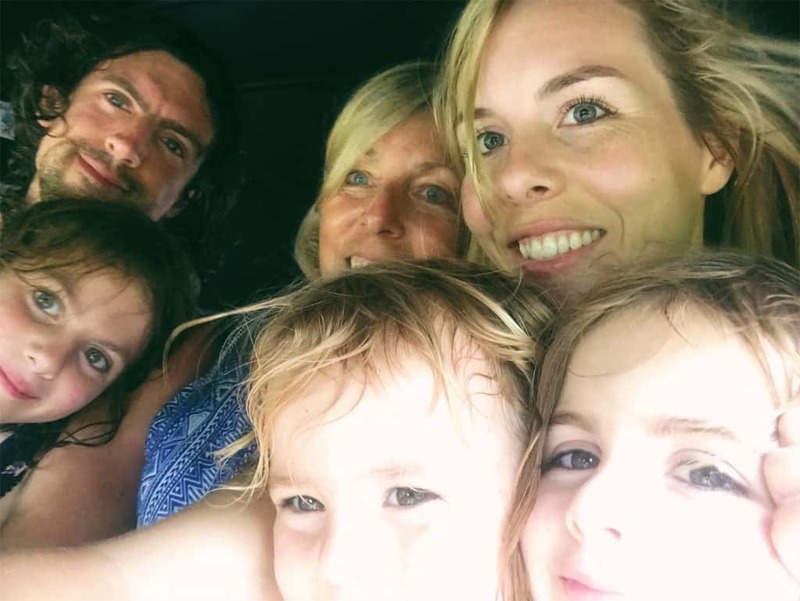 A lack of routine was one of the hardest parts of travel and we all felt better when we had some sense of what was going on each week and what was expected of us. In Bali, the gym was my temple. For the first time in my life I went pretty much every day, and loved it. I worked really hard, sweated a lot, got sore, saw the results. You might not want to do a ton of cardio or weights but proper stretching, like yoga, can do wonders. Hiking or swimming are also brilliant exercises that are well suited to travel. Any kind of movement that helps you feel good is worth doing- exercise increases endorphins, develops lean muscle mass, prevents mood swings and reduces stress. It’s quite literally a miracle-worker for mental health. It can be tempting while travelling to stay up for the party scene and then sleep in during the day, but this isn’t a healthy or wise long-term plan for anyone, especially people with mental health issues. Getting into a routine where you get plenty of sleep helps to balance moods and hormones and give you energy that poor mental health can deplete. Stay in touch with friends and family and your support network back home and go out of your way to connect with people as you travel, too. You never know whose life you might be able to benefit, or who might have similar issues to yourself and might be needing a word of encouragement. Being available to your friends and family is important- if you want a time of no contact let people know in advance so that relationships can be maintained. You can collect all the sunsets in the world but if you come home to ruined relationships, it won’t be worth it. Travel gets you ‘closer’ to people…! If there are certain things that cause your mental health to suffer, for goodness’ sake avoid them. 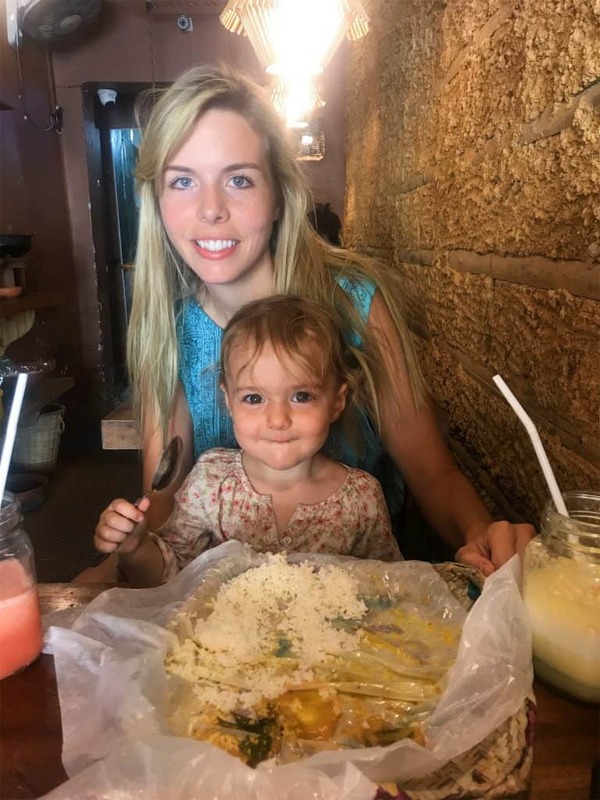 I wouldn’t for example, stay for months at a time in cold and dark countries, because I would likely lose the plot- nor would I, with my history of eating disorders, go on a raw diet retreat or one of those dessert tours. Travel can boost your confidence, but be gentle with yourself and don’t expect too much from yourself. Plan your trip around things that make you feel good and avoid situations that are likely to detract from this. You will have to ignore quite a few people’s opinions if you choose to travel long term, whether or not you have mental health issues. Anyone who says I can’t do something, I tend to ignore- that is their opinion of what they themselves are capable of, and not a true reflection of me. We knew that taking our trip was what we were meant to do, even though it seemed mad. We had glorious ups and horrendous lows, but looking back now we are all glad that we did it, and it taught me a lot about what affects my mental health and what I can do about it. Travel teaches you a heck of a lot about the world and people and yourself, and sometimes it can provide a new window for you to look through. Having a mental health problem doesn’t mean you have to live a half-life, it just means you need to plan more. 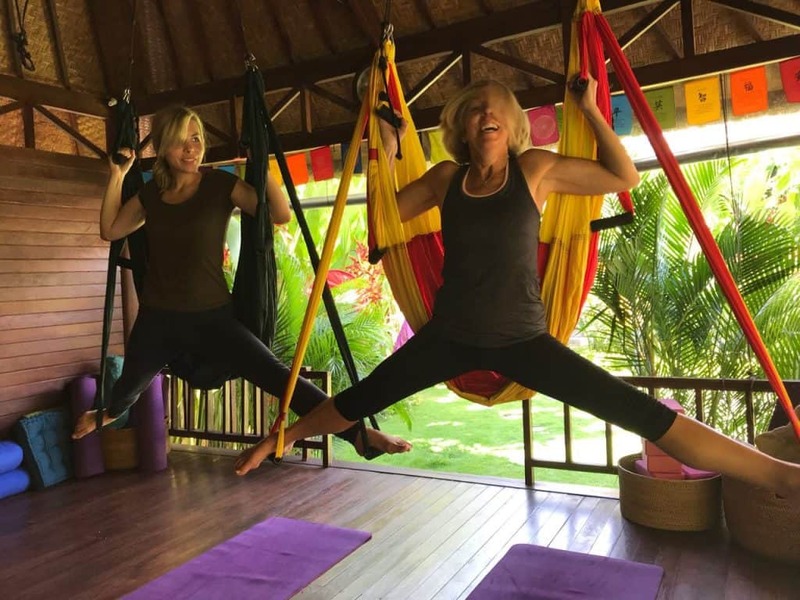 Be bold- try new things like aerial yoga in Bali! This means get travel insurance that will cover you for mental health treatment abroad; have a plan for what happens if you have a mental health crisis while travelling; have a contingency fund for if you need to come home quickly and have a list of numbers handy to call if you need to. We found out in one of the hardest possible ways that you can’t plan for everything, but whatever you can plan for, do. I hope this post is helpful, and that it has given readers who live with mental health issues the confidence to consider travel in a way that they may not have before. Although mental health problems can make life very difficult, I generally think that it’s going to be tricky whether I’m at home being ‘safe’ or out exploring and Doing Life, so I may as well see what the world’s all about!